FOR Brendan Rodgers, Donegal – Derry's opponents in Sunday's Ulster quarter-final - are beatable. Rodgers sees every county in Ireland as beatable, of course he does; sure he's from Slaughtneil. With him at full-back (football) and full-forward (hurling), Slaughtneil – the innovators from the south-facing slopes of the Sperrin Mountains – have completed back-to-back Ulster doubles and taken down some of Ireland's most high profile clubs from Down's Kilcoo to Dublin's St Vincent's to Kerry's Austin Stacks. So Rodgers fears no-one and the question for him is: If his club can do it, why not his county? Of course, that's the riddle Oak Leaf manager Damian McErlain hopes to find the answer to. “Donegal are a good side, they were very comfortable against Cavan,” reflected the affable Rodgers as he looked ahead to Sunday's Ulster showdown at Celtic Park. “They scored 1-20 and they could have had three or four more goals in the second half. They were very calm and physical as per normal, but they are definitely beatable, there's no team in the Championship that's not beatable at the minute. Club and county have been chalk and cheese for Rodgers over the past two seasons. 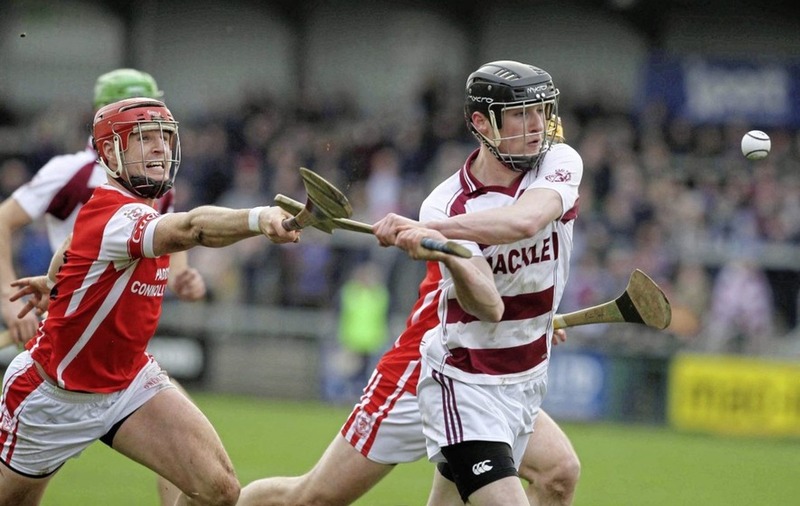 While Slaughtneil completed their unprecedented double-double, Derry suffered back-to-back relegations and will start next year in Division Four of the National League. However, Derry have more experience than most counties of how a good League campaign does not necessarily guarantee a good Championship campaign and vice-versa. “We were in a Division One final against Dublin (in 2014) and we got beat in the first round of the Championship and the first round of Qualifiers that year,” notes Rodgers. “So there's no reason why we couldn't turn a poor League campaign into a good Championship run this year, particularly with the players we've got back. “To me, League status means very, very little. You have to go back to 2015 for Derry's last Ulster Championship win, but while their provincial form has been poor there have been signs of life in the Qualifiers. In 2016 Derry reached round four before losing out to Tipperary and last year, after being written off by all and sundry, the Oak Leafers came within a whisker of shocking eventual All-Ireland finalists Mayo. “A lot of U21s have come in this year and a couple of the players from the minor teams that got to All-Ireland finals,” Rodgers explains. “There is a lot of youth there and a lot of enthusiasm from those boys as well and that drives training. WINTERS can be harsh up in the Sperrins, but Rodgers spends time surrounded by ice whatever the season. 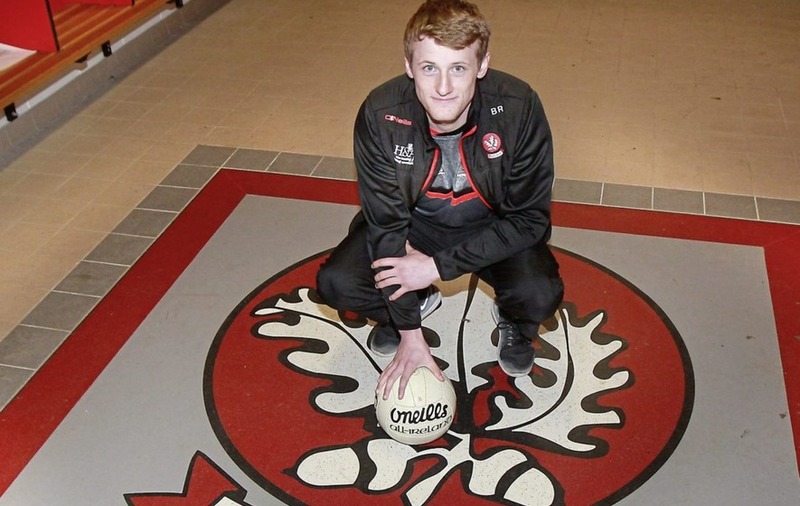 The Slaughtneil and Derry full-back freely admits “basically my life revolves around football”. He is either preparing for, or recovering from, a training session or a match and all that wear and tear takes its toll, even on a 24-year-old. Luckily, and this says something about the levels of commitment to training in the locality, there are plenty of nearby ice baths he can take a dip in to help rejuvenate his tired muscles. “Oh aye, there's an ice bath in Toome, there's one in Magherafelt, one of our management has one, one of the physios has one…,” explains Rodgers, who will be the Oak Leafers' defensive lynchpin against Donegal in Sunday's Ulster quarter-final at Celtic Park. He knows how important his role is. He knows a lot is expected of him and so there's no way he'll be turning up at Celtic Park having left anything to chance. “When you're full-back, you have no choice but to sink or swim,” he says. “You have to get up to a level or you're going to get skinned by the man you're marking. “You always have to improve – you can't miss training and play well so you have to keep at it all the time and get consistent at the top level, which always helps. ‘Working for it' means gearing your life towards being able to maximise training and deliver your best in every game. Diet and rest are vital and Rodgers admits that “down time” is rare. But that's ok.
“Basically my life fits around football,” he explains. “You wake up and your breakfast is based around eating well if you've training that evening or you're recovering from a session the night before. “What you're eating during the day is all geared towards training and then your preparation as soon as you come home from work is for training. If you're sore you'll get an ice bath and that is nearly on a daily occasion, especially towards Championship and with the club. “When you're playing dual all the time you're always trying to recover and give the best account of yourself for trainings and Championships to get the most out of them. “There is very seldom a down-time, or anything like that and that's not a bad thing. We've had good rewards for it – the awards nights you get to are nice, they reward the work you do, but by and large it is tough. It's mentally tough to stay injury-free and do the work all the time and eat well. “You see your friends go out and you're just sitting in and going to bed early but that's just the life of it and maybe it makes you appreciate the finer things whenever you do get them. “I see myself doing things every day that I probably don't notice until somebody points it out and says ‘We don't do that'. It becomes a given, everybody does it and nobody seems to pass comment on it but at club level it would be an extra step. A Derry win over Donegal on Sunday would make Monday's icy dip almost enjoyable.